The broadcaster and classicist, 63, said she had always insisted before signing up for presenting roles that there would be no re-enactments and says her request has always been honoured. “I insisted… there should be none of those awful scenes where some none-too-good actors pretend to be Romans at a banquet or recreate the scene of the death of Socrates or whatever”, Prof Beard will say in a speech to the Voice Of The Listener And Viewer. Prof Beard will say she finds drama reconstruction “excruciating to watch”, but that there is also a “bigger historical issue at stake” telling the audience: “It can show you that rich Romans sometimes had posh dinners lying down. She will also speak about how she was edited out of more of the US broadcast of BBC series Civilisations, compared to the two men who fronted other episodes. “What they were really doing was removing the argument, and as almost all my pieces to camera were driven by the argument, they just went,” she says. 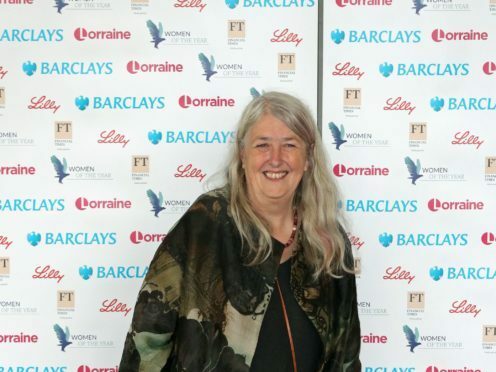 Professor Mary Beard delivers the Jocelyn Hay Lecture 2018 at 6.30pm on Tuesday October 23 to The Voice Of The Listener And Viewer conference. Information can be found at www.vlv.org.uk.